There are tons of places to eat with small vendors and even chain restaurants like TJ Fridays. 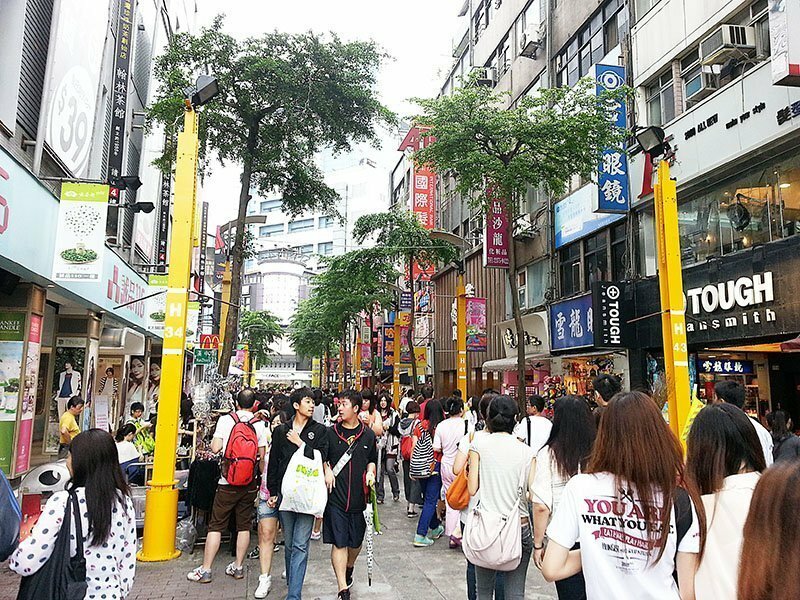 Many of the same shops can be spotted with multiple stores selling the same shirts and bags. 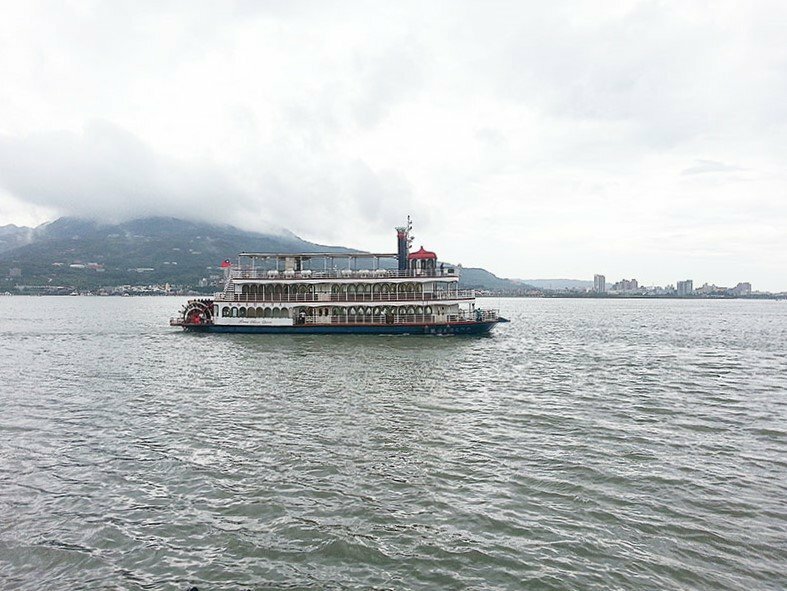 Be prepared for the large crowds as this is one of the most popular tourist attraction. 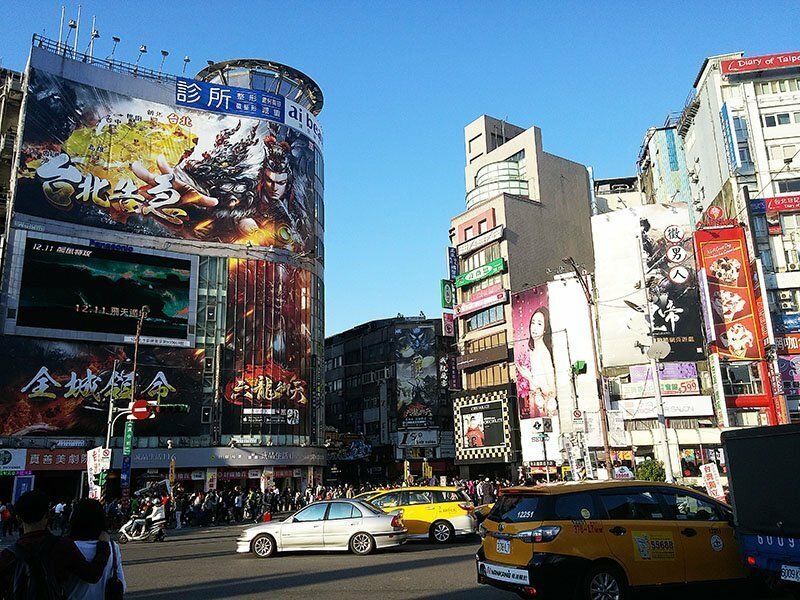 If you like this kind of energy, you can stay at any of the several hotels located right in the heart of Ximending. 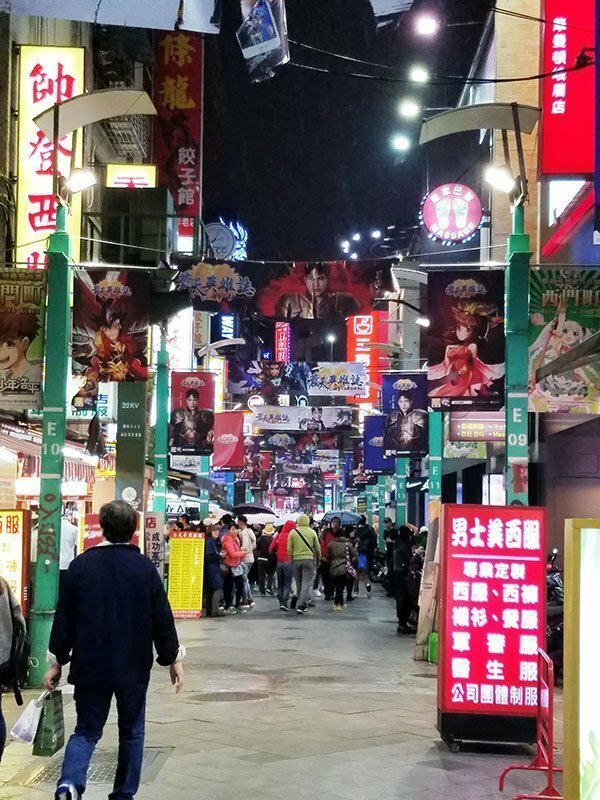 Come at night and find food stalls that transform Ximending from a shopping area to more of a night market. 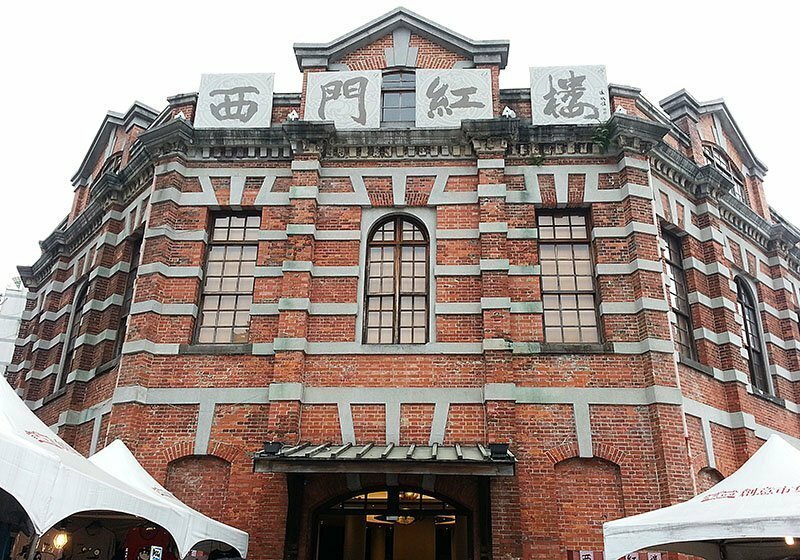 For a little history lesson, go to the Red House Theater, Taiwan’s creative and cultural center. The public market outside the theater showcases artistic talent, selling all handmade items – a great change of pace from the typical souvenirs. 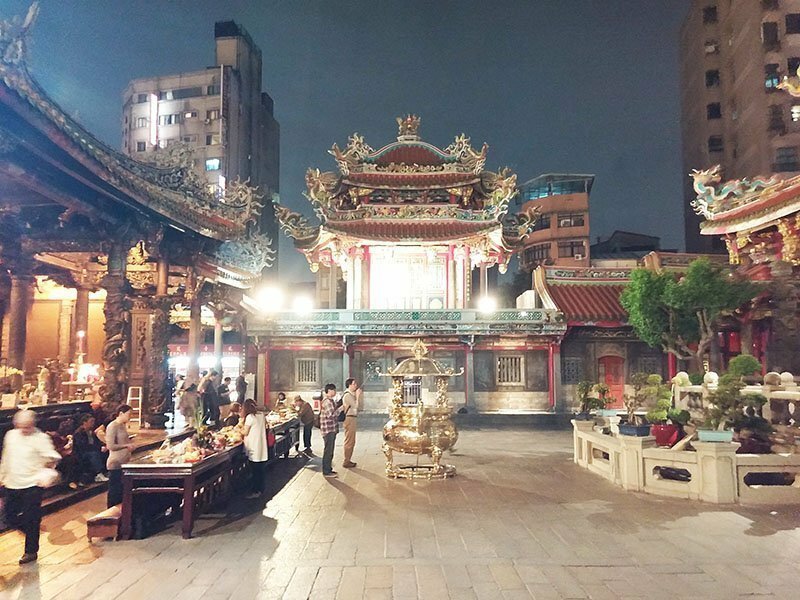 In the same district is the most well-known temple, Longshan temple. 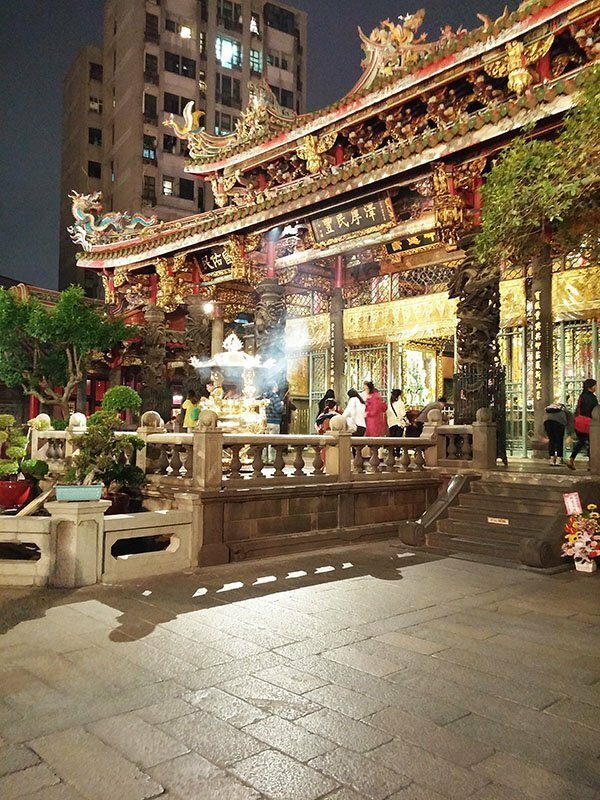 It is recommended to visit at night as the lights illuminate the shrine in the most beautiful way. Every carving, every detail is so ornate it makes the temple look like the temple of all temples. 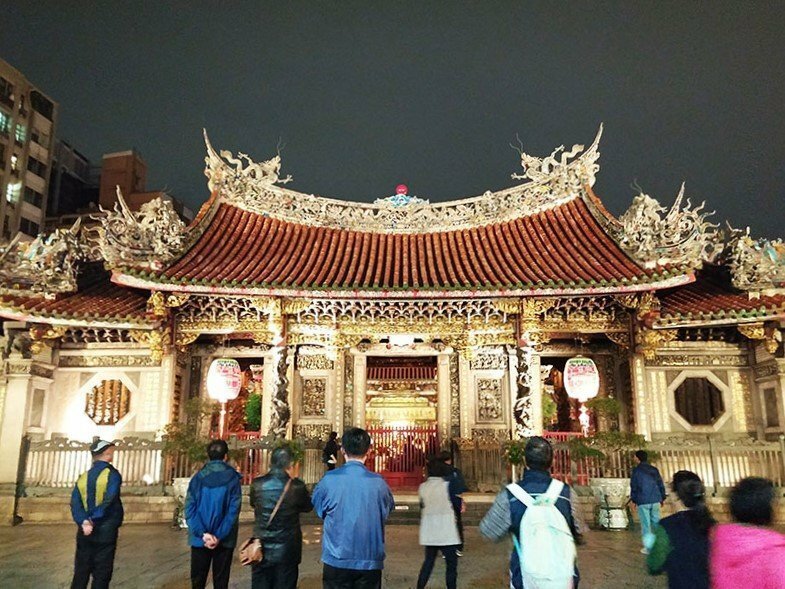 Longshan temple has actually been destroyed in natural disasters, but the people of Taipei rebuilt and renovated it, making it still available for people to come and pray to their deities. 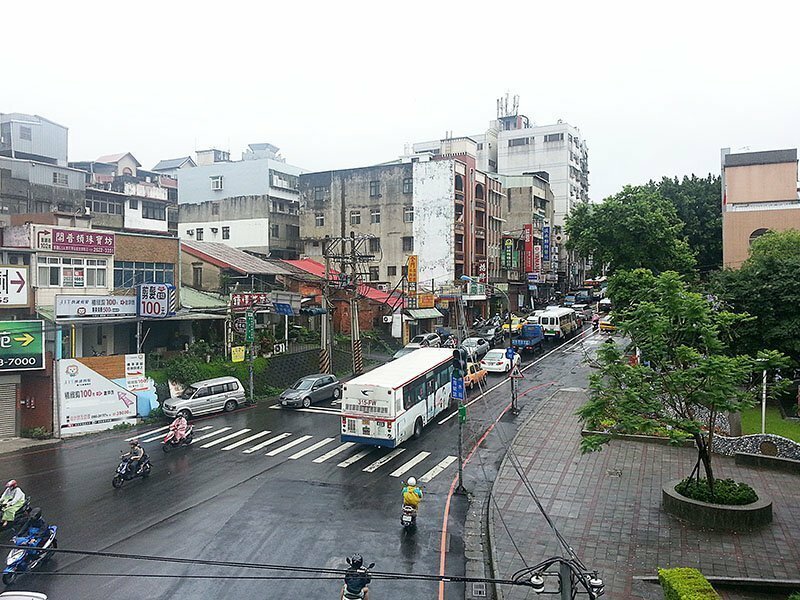 To the left of the temple is another night market, Huaxi St. night market. 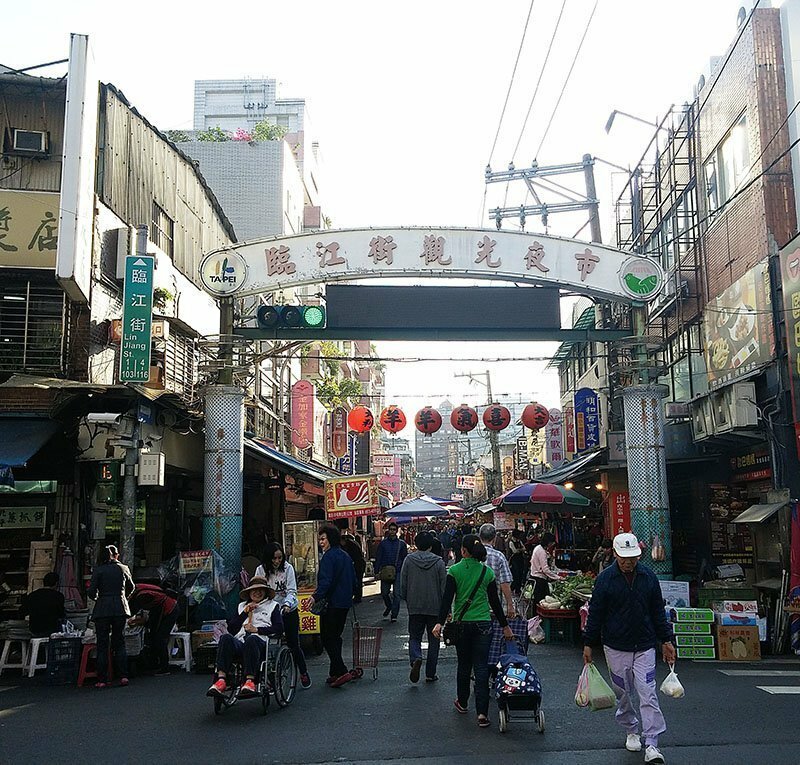 This night market is more concentrated on traditional dishes using reptiles, including snakes (apparently, there is something such as snake cuisine) and other not so commonly eaten foods like pig feet, chicken blood, and intestines. Back in the day, it was reported that you could see snakes and other reptiles slithering around. 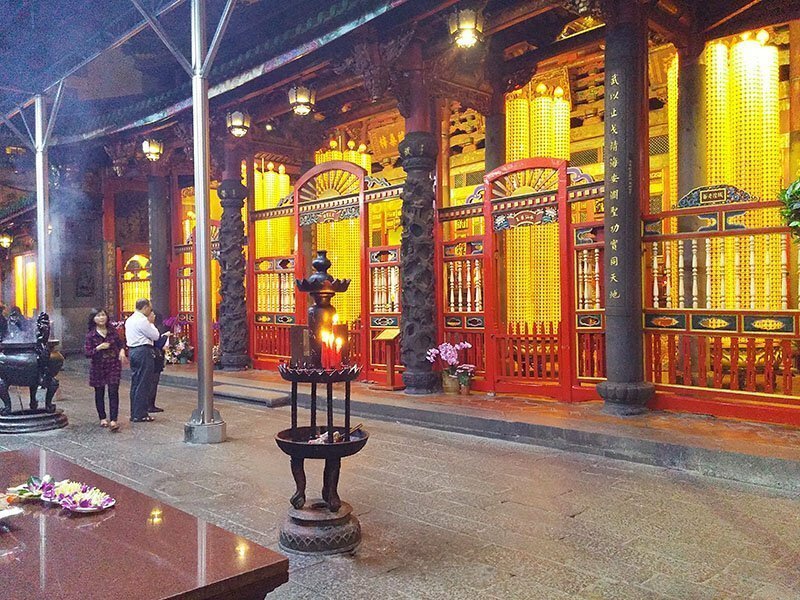 I have noticed that Huaxi is much different than Keelong, Raohe or Tonghua in that it’s customers are of the older generation because of the food served. It wasn’t exactly my cup of tea but an interesting walk through nevertheless. Hop on the train and head north to the port, Dansui. Sometimes it’s nice to get away from the city and enjoy nature at it’s best. There are plenty of shops and stores, including some of the best pineapple cakes. 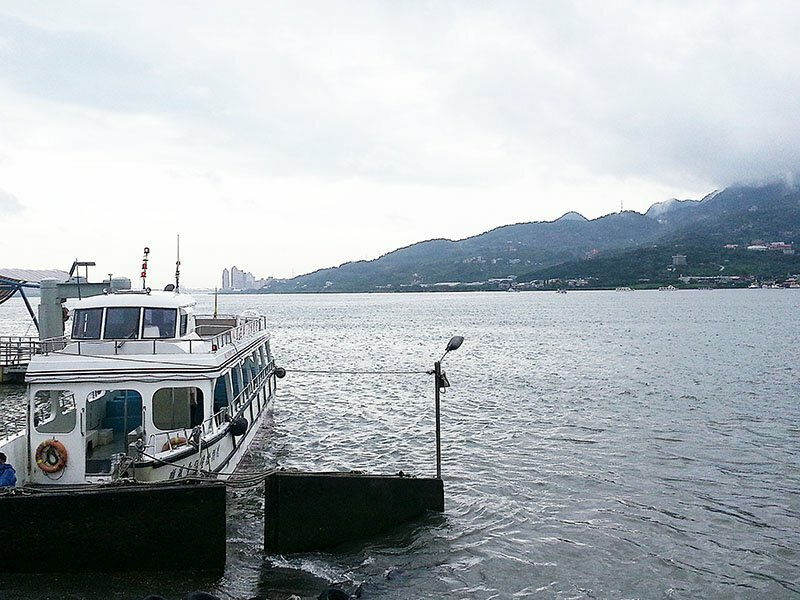 Grab a bowl of fish ball soup, buy one or several boxes of pineapple cake and enjoy the calming waters. There are tons of great seafood restaurants and Taiwanese food so take your pick and eat up! 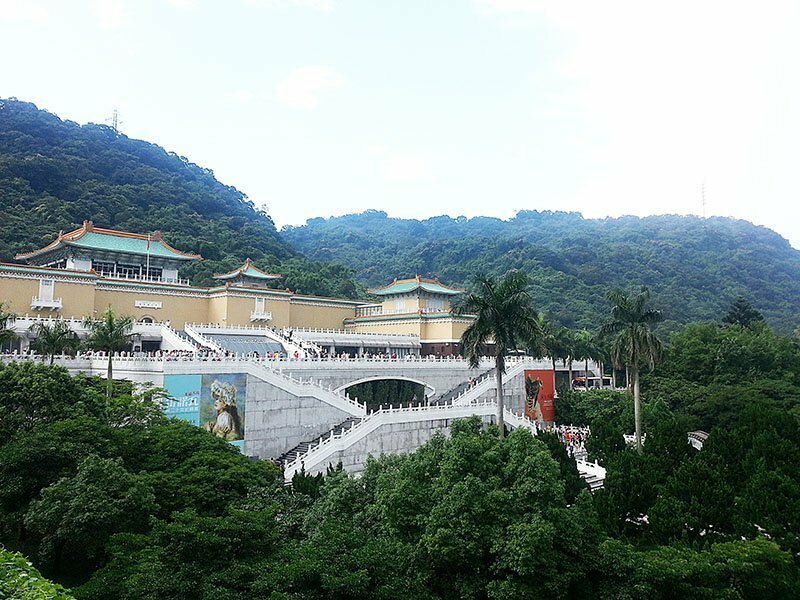 Last but not least is Taiwan’s National Palace Museum. The antique museum holds an impressive almost 700,000 artifacts and artworks, making it one of the largest in the world. You can see about 3,000 pieces at a time as the exhibitions rotate every 3 months and the remaining artifacts are kept in temperature controlled vaults to preserve the quality. 3,000 pieces out of 700,000 don’t seem like much, less than 1%, but it’ll still take you a good amount of time to do a complete walkthrough. The food sold in the food court isn’t great, but that’s pretty much expected. 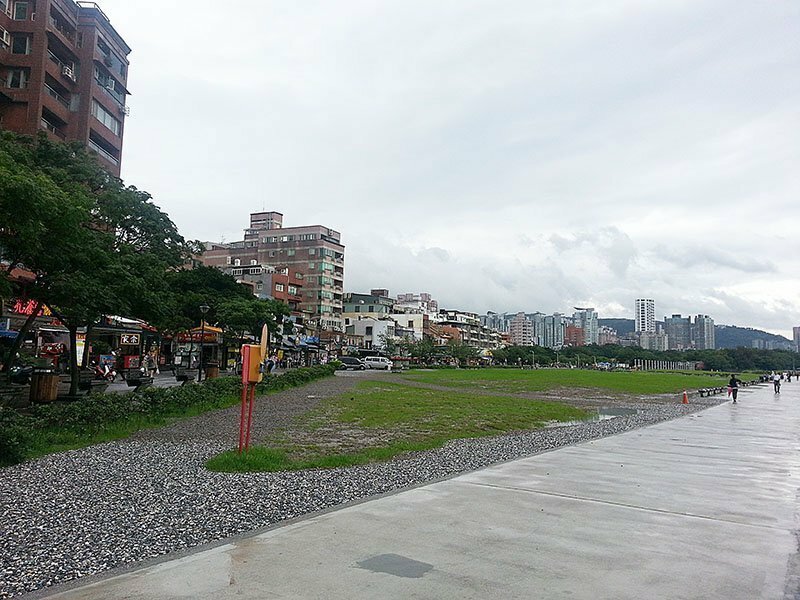 The museum sits high enough for you to grab a view of Taipei. 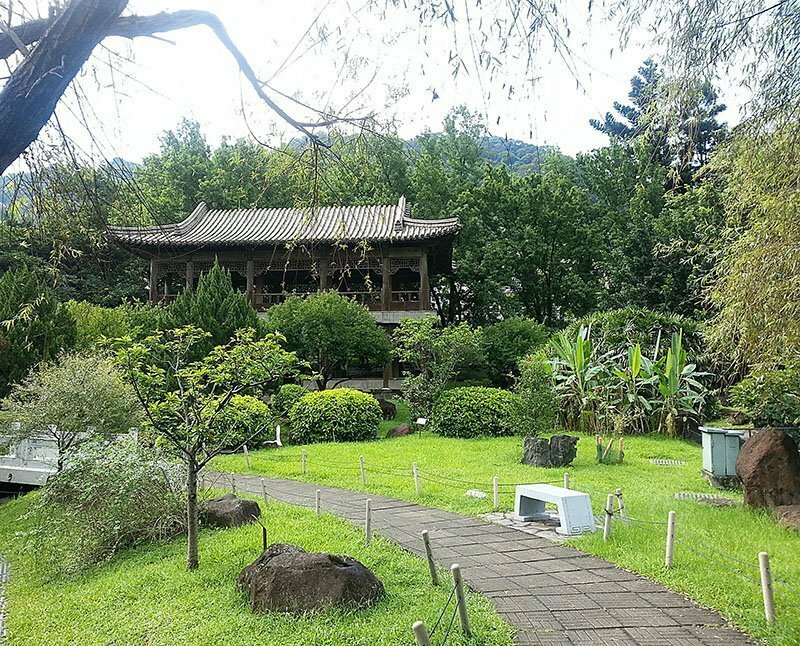 Besides the main museum, there is a small fine arts museum as you walk down the hill. There is no entry fee but the entire building is quite small so don’t expect paintings on paintings. 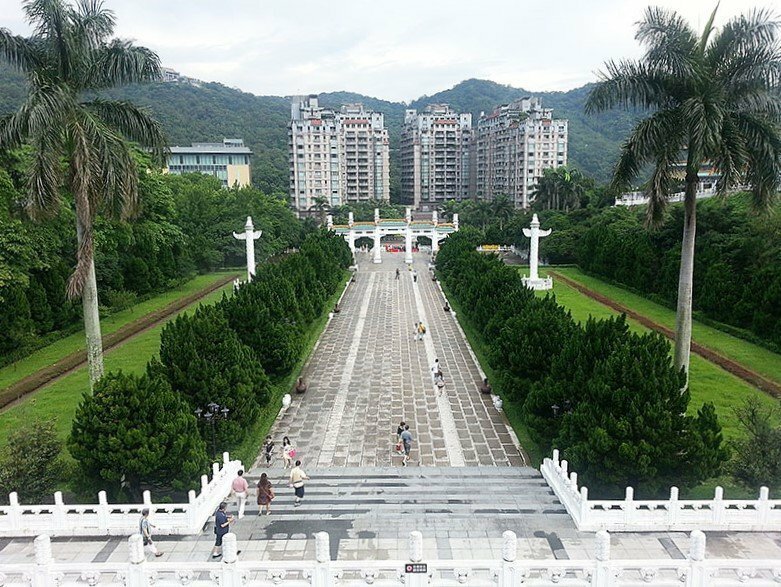 We ended our visit with a walk through the park below. Koi fish fill the lakes that you can actually feed with the fish food sold at the vending machines. A perfect way to end the way. And that concludes “The Flavors of Taiwan” series. And now time to plan my Europe excursion!